These garden chairs are hand made with thousands and thousands of tiny beads. 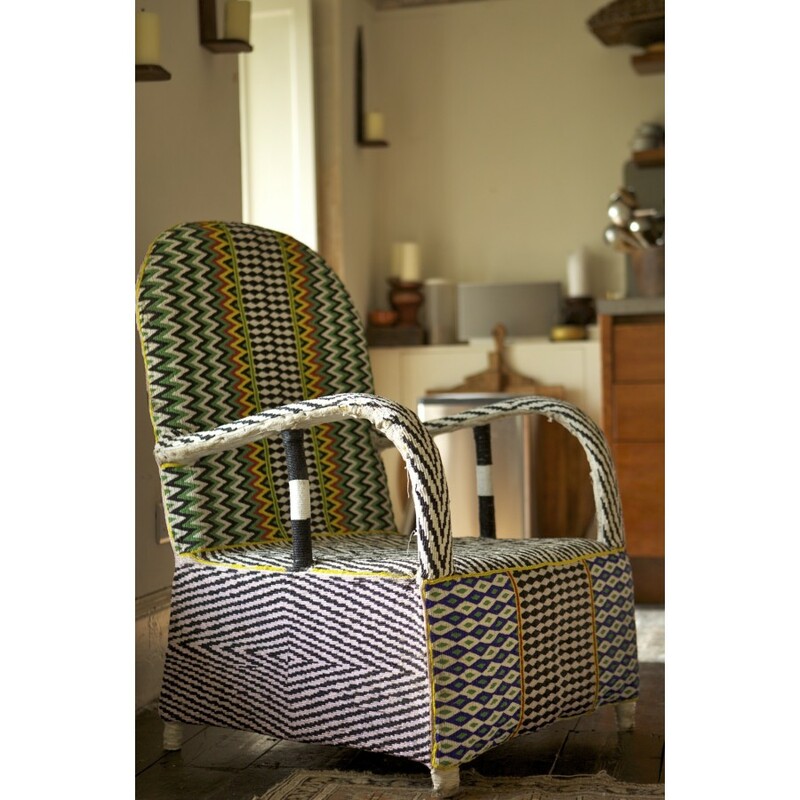 Each one takes 3 months to make and the finished chair is a perfect example of a functional strong piece of art. 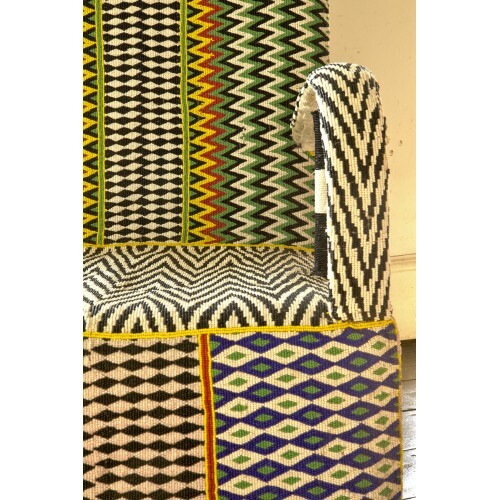 They are traditionally used by the kings and queens of the Yoruba tribe in West Africa. 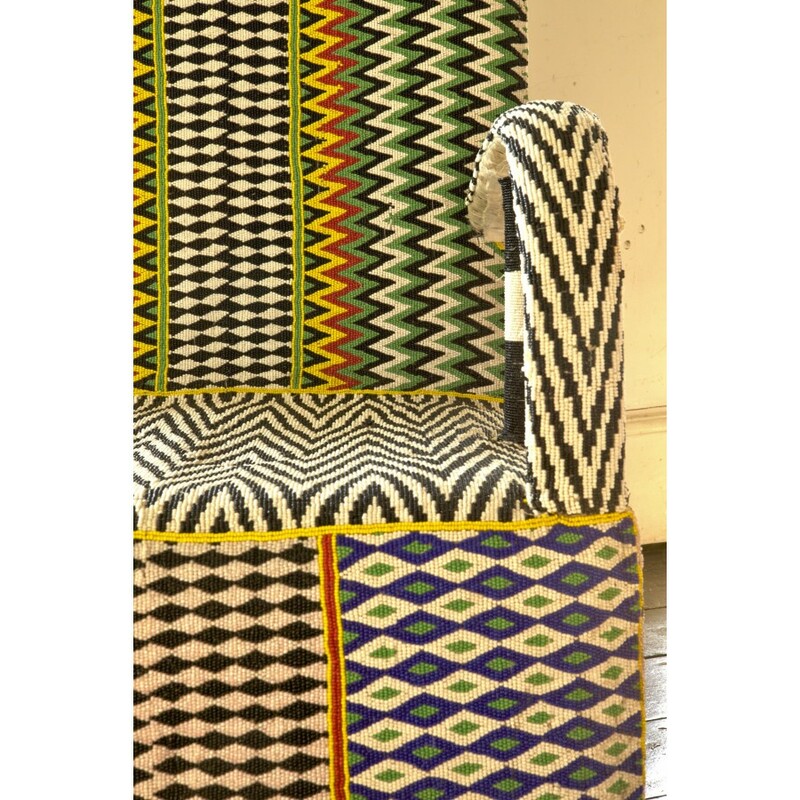 All have a wooden frame and the upholstery consists of thousands of tiny strung beads laid upon a fabric backing. Great for garden chairs or in the home, and always a talking point. This pair has a delicate zig zag design, almost like missoni!